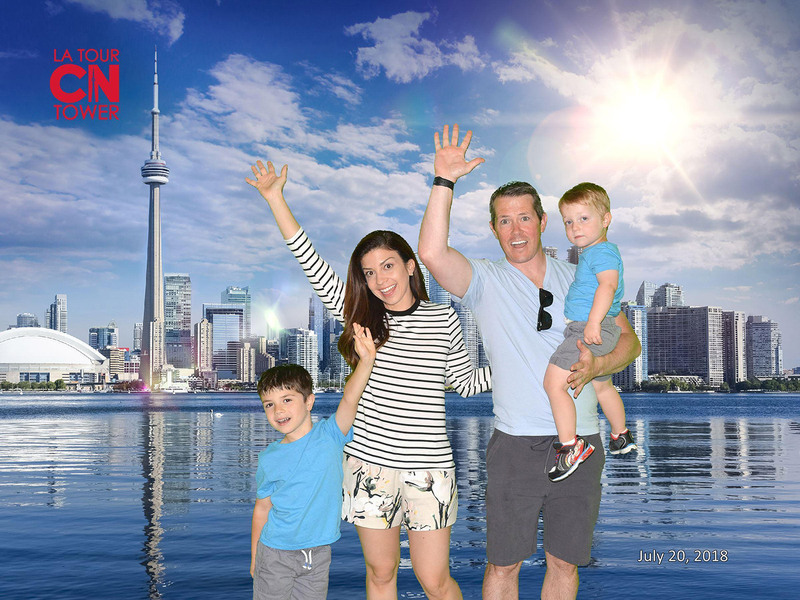 You may have seen that two weeks ago we took a little family vacation to Toronto. It was our first time ever visiting there and we were so excited to get out of town and try out some different things. 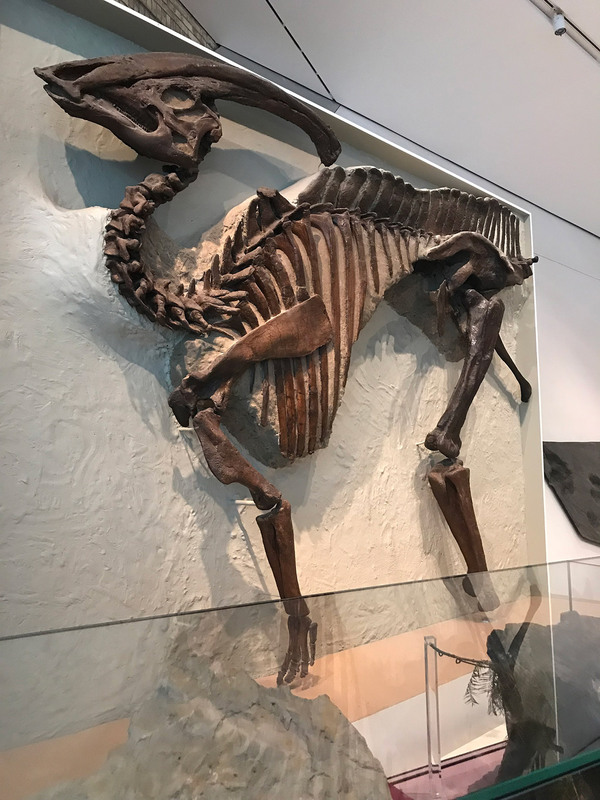 I really did a lot of research in advance of the trip to find fun things to do with our kids and also find some good restaurants to take them to without us having to eat chicken nuggets for every meal along with them. 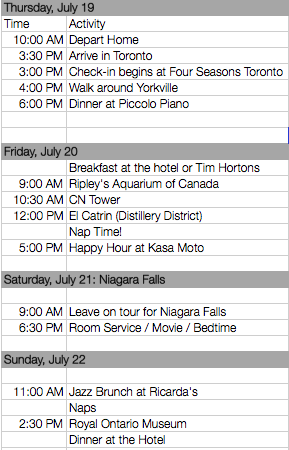 I put together a little spreadsheet itinerary for us and crossed my fingers that everything would be as great in person as I had hoped and fortunately it really was! 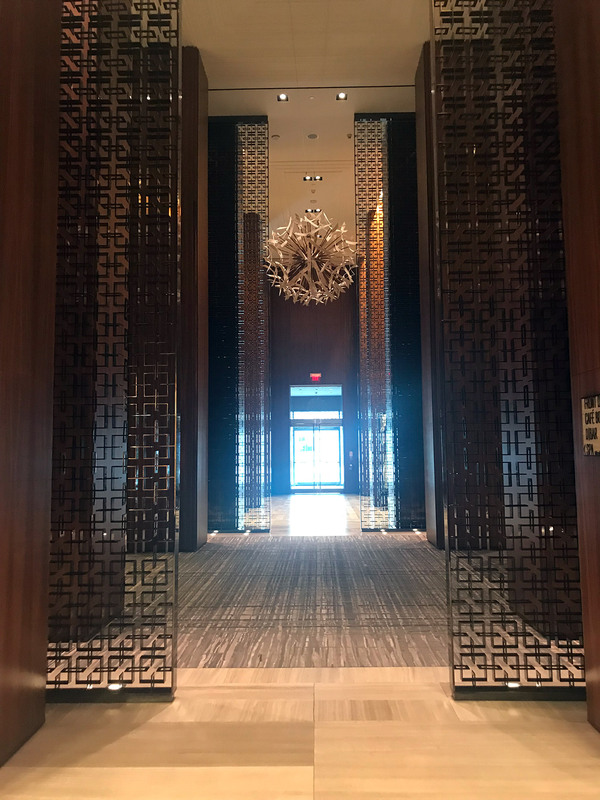 Whenever we go somewhere new, we first look for our go to hotel, which is the Four Seasons. 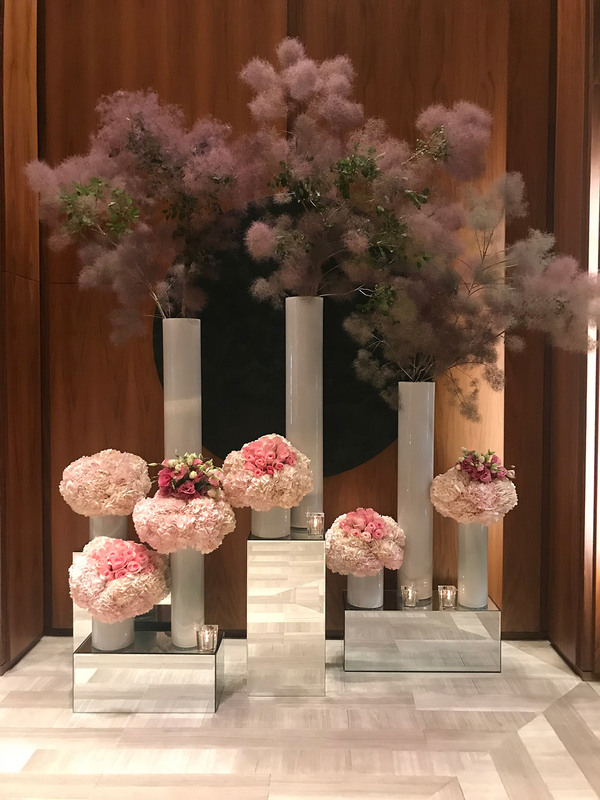 Yes, it’s a more expensive option, but we always know that we can count on the quality and service from the Four Seasons and it really keeps us coming back. Our room had an amazing view of the city and plenty of space for the four of us. We even had a little walk-in closet area where put Dylan’s crib so that we could hang out with Jackson during naps (or after he went to bed) without disturbing him. 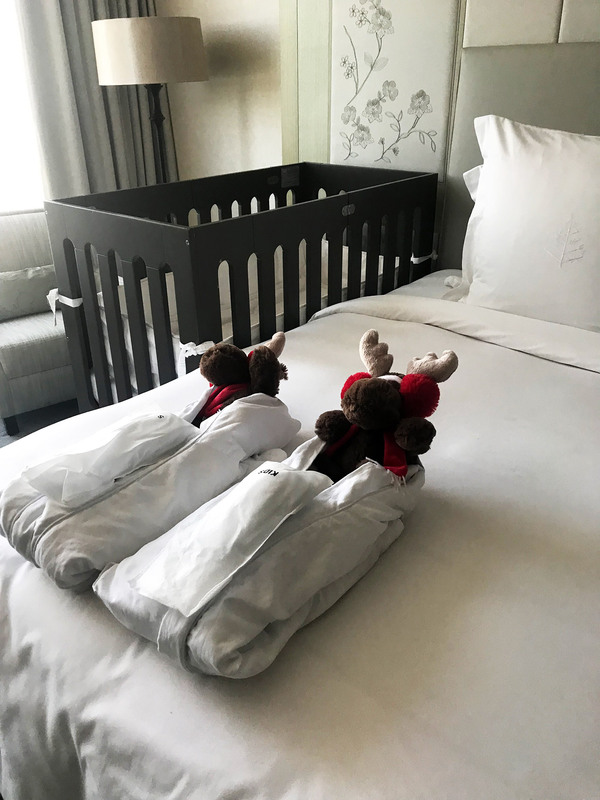 Along with the quality and service, one of our other favorite things at the Four Seasons is that they do special things for the kids. 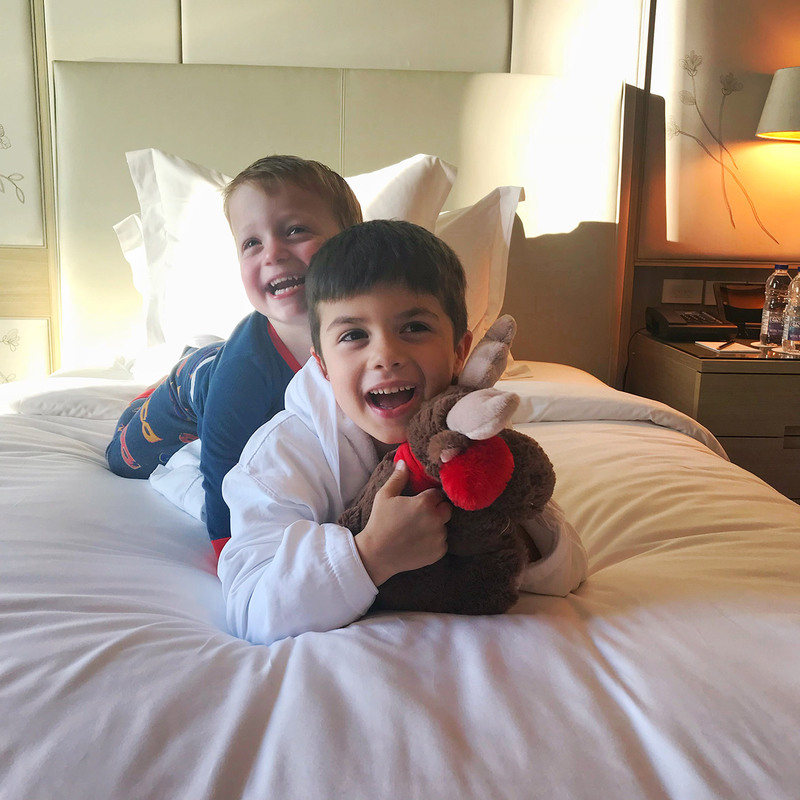 When we checked in at Toronto, at the desk they were allowed to get little toys from a machine setup they had, and in our room the boys had robes, slippers and little moose stuffed animals waiting for them. And once we had been in our room for just a bit, someone came to the door with Rice Krispie Treats and apple juice. The boys loved it and we really appreciate those little extra details. For us, the hotel was in a perfectly central spot for what we wanted to do. 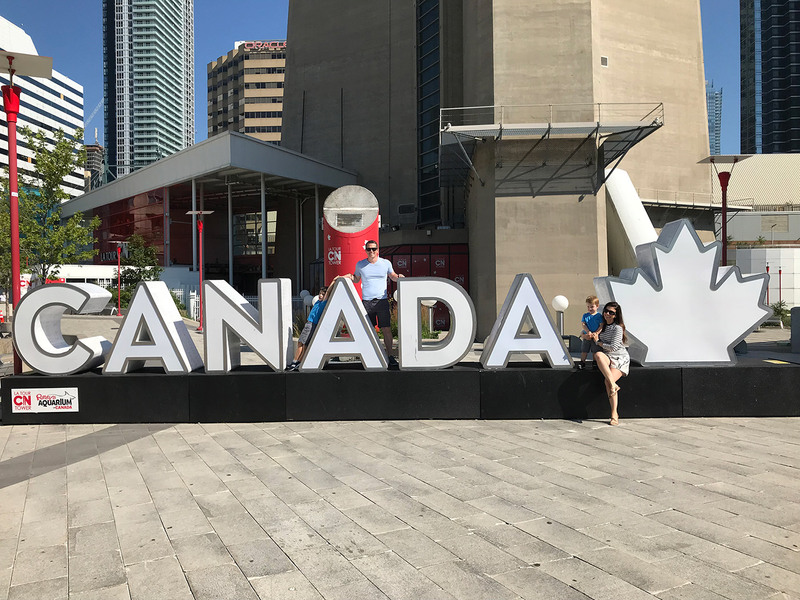 We could walk around the Yorkville neighborhood (which was adorable), to restaurants, shopping and then take a cab for 10 minutes to the other destinations we had planned. 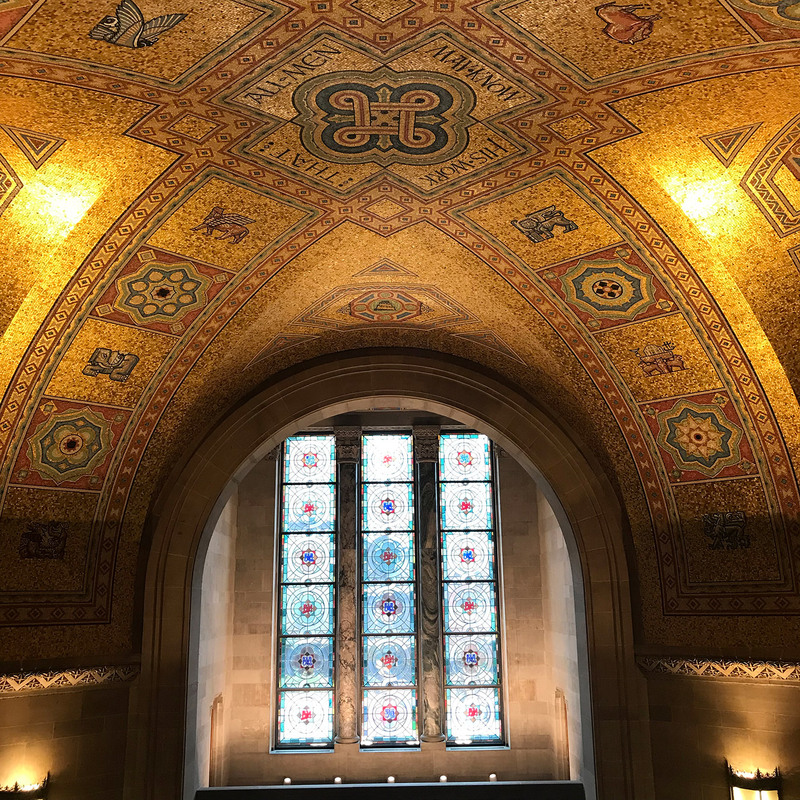 As a side note, the spa at the Four Seasons Toronto looked amazing. With any luck, we’ll go back and I’ll actually get to experience it! 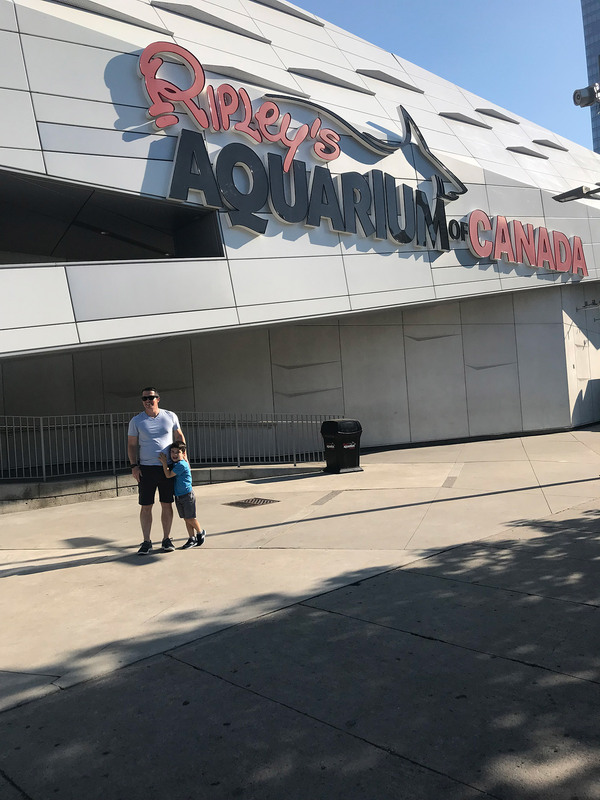 Ripley’s Aquarium of Canada // We got to the aquarium right when they opened at 9:00 AM and it was completely worth it. We were among the first people to get in, so we had lots of room to walk around and check out the exhibits and a lot of the time we were the only people in a given area. The aquarium itself was really very cool and Clint and I found ourselves getting pretty into things when the kids had moved onto the next thing. Everyone’s favorite area was the Dangerous Lagoon where you could walk, or stand on people movers, through a long (but very open so no claustrophobia here!) 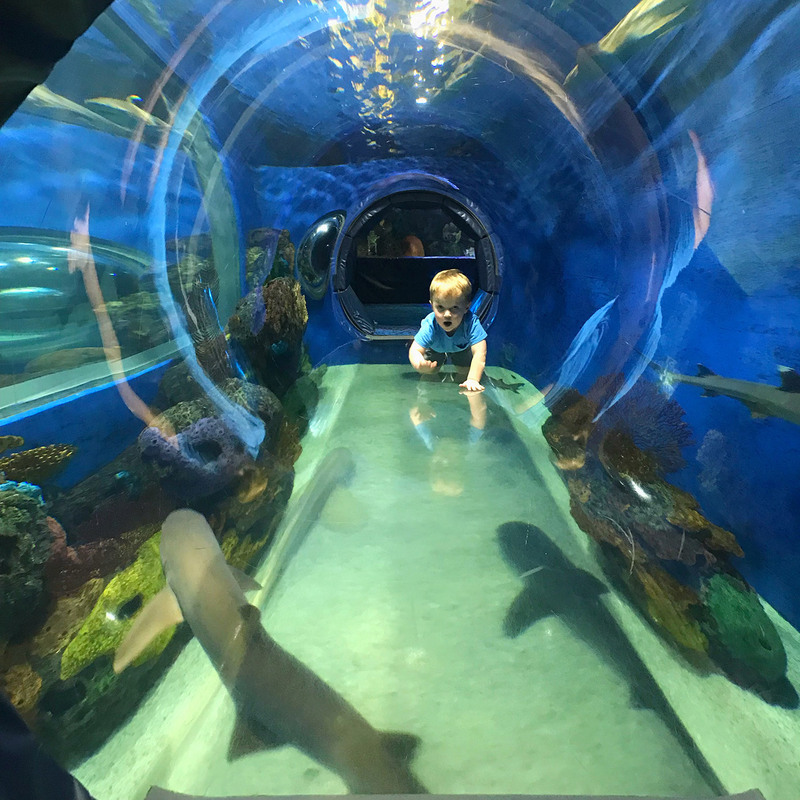 tunnel where fish and sharks were swimming all around you. It was truly amazing and we had a great time! 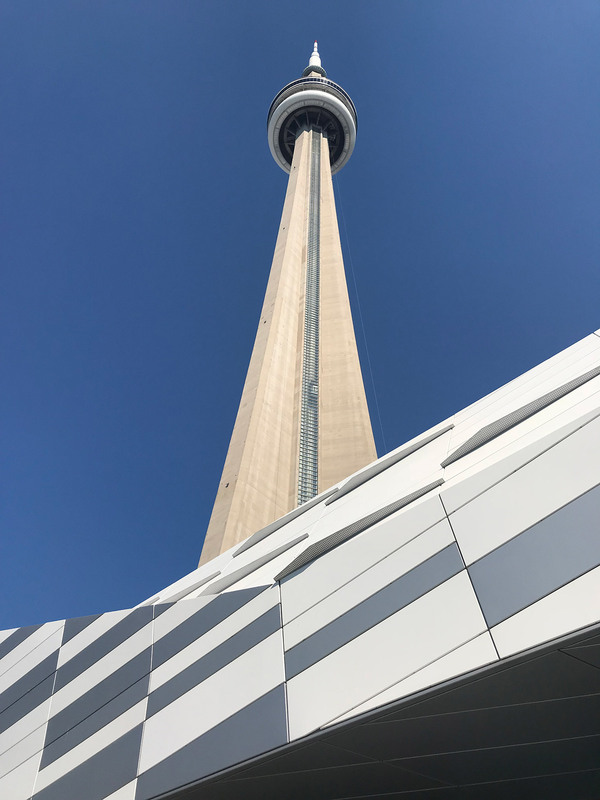 CN Tower // This was actually right next to the aquarium so we did these two places back-to-back on our first morning. We just did the regular experience for this one and went up to the observation deck and walked around. The views were incredible, especially looking over the water. There was a little area where you could stand on glass panels and look down, which Jackson loved and Dylan HATED. We were pretty entertained to see how each of them reacted to the experience! 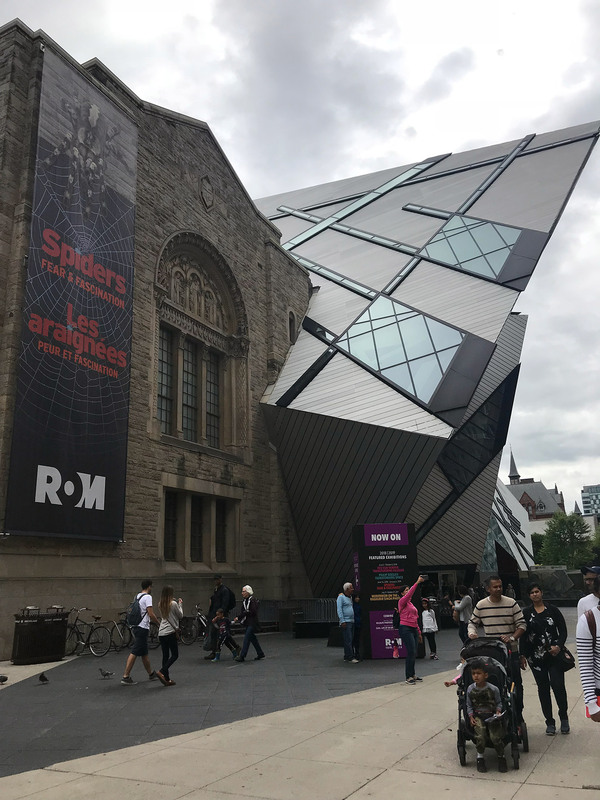 Royal Ontario Museum (referred to as the ROM) // Jackson is OBSESSED with dinosaurs and the ROM has a great dinosaur exhibit, so that’s why we chose to go there. He loved it and we really found it interesting, as well. 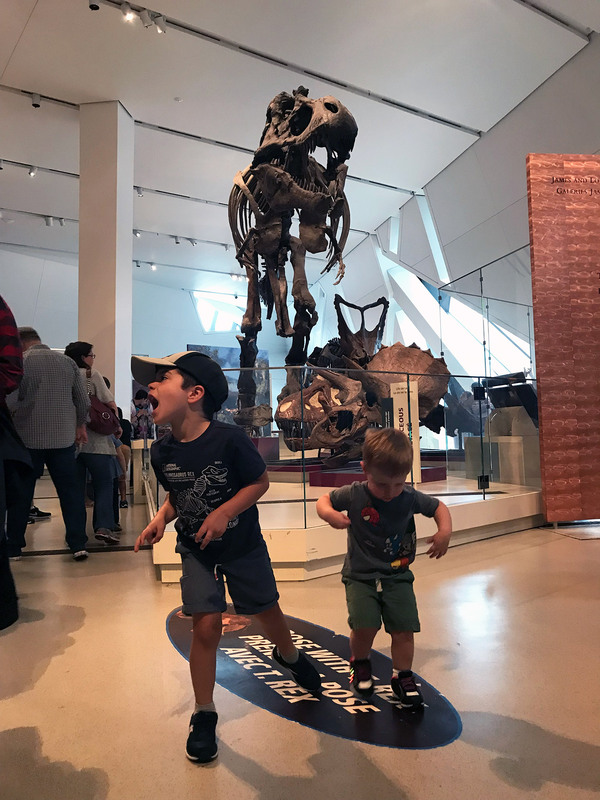 There were also great interactive areas where kids could dust for dinosaur bones, read, and try on different historical outfits. We didn’t bring a stroller but I wish we would have because Dylan was a little tired and cranky when we were there, but along with being a beautiful building, it was very stroller friendly! 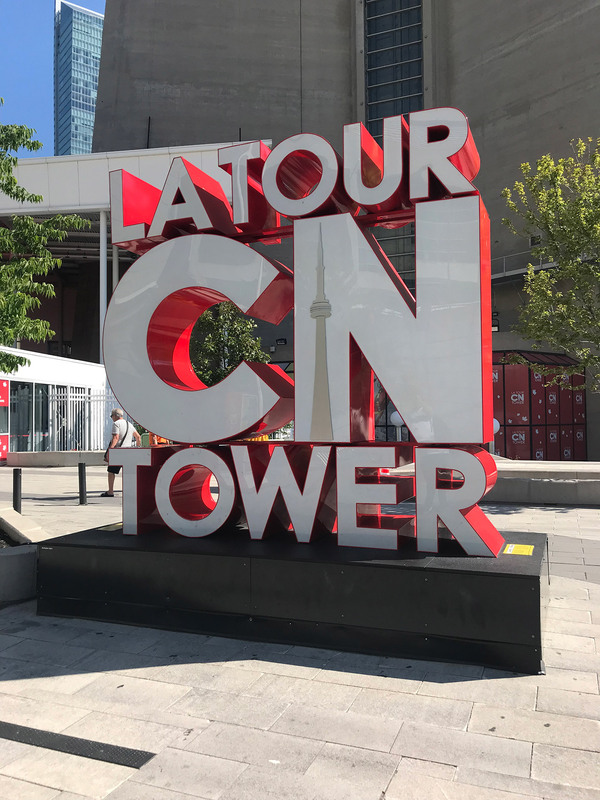 For these in-town activities, we got the Toronto CityPass. 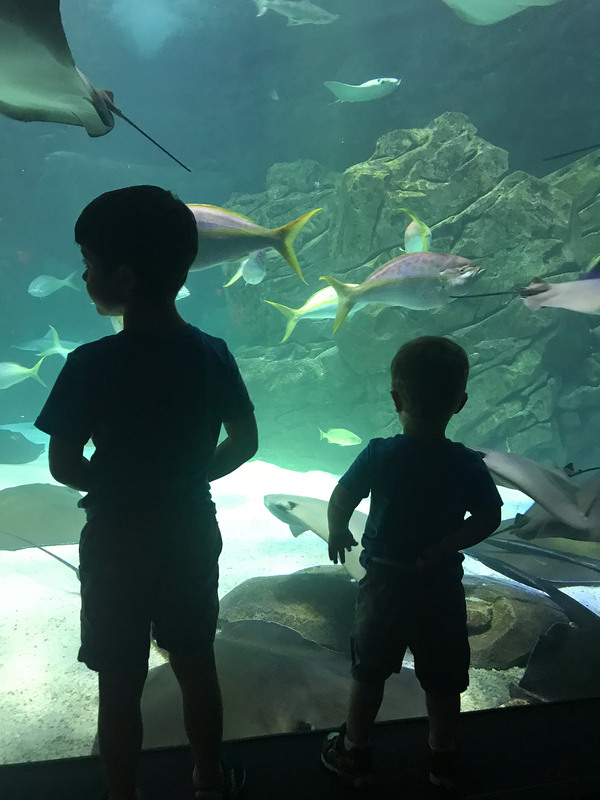 It saved us money and time in lines for all three of those attractions, plus there are several more on the list and CityPass is good for 9 days – so if we stayed longer we could have done more! 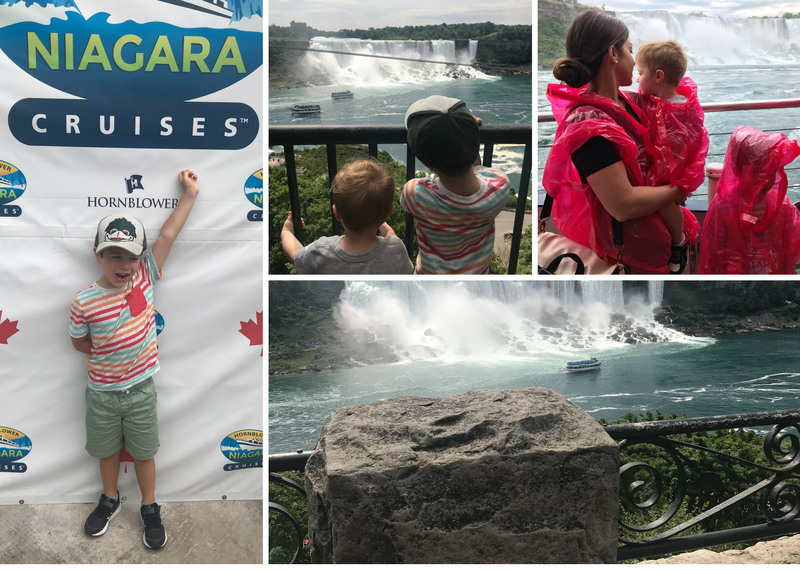 We planned an entire day to go out to Niagara Falls because Clint and I had never been there and wanted the boys to have a fun and easy day seeing it, as well. 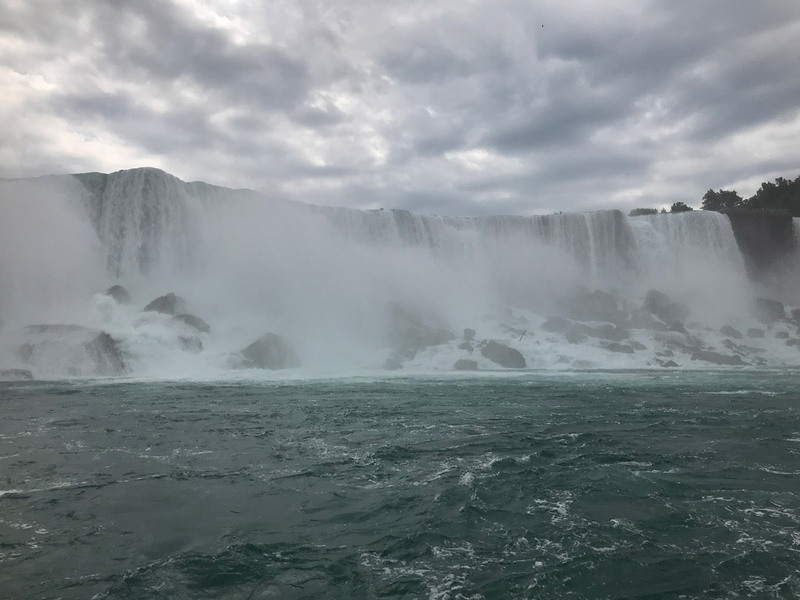 Through the Four Seasons we booked a semi-private tour through VIP Ontario Tours for a day trip to Niagara Falls. I’ll be totally honest and say that it was a LONG day, but I think if you can do it with a tour like this that it is the way to go because it would have been very challenging otherwise. The bus picked us up at 8:15 at the hotel and we had our fellow passengers and were headed to Niagara by 8:45. Our driver was great and along the way would give us information about Toronto, the Niagara Escarpment and other facts. Jackson especially loved this because he was really into learning about this new destination. We stopped once for a souvenir shopping spot and bathrooms and then headed over to the Falls. We grabbed lunch at a patio overlooking the falls, with live music, and that was perfect for us. Then our tour took us over to the Canadian falls, which Clint and Jackson went out to see but I had to stay in the van with a sleeping Dylan. On the way back to Toronto, we stopped at a little town called Niagara-on-the-Lake, which was beautiful! I would go back there again and spend a day (sans kids) and explore the shops and cute restaurants. We also stopped at Dan Akroyd’s vineyard for a wine tasting (and played outdoor ping pong with the kids). The wine was all ice wine, which is WAY too sweet for our taste, but it was a pretty spot and we enjoyed it! Like I said, I think the tour was the way to go. It wasn’t crazy expensive and it made the day SO much easier all around! Our driver was more than happy to help with strollers, make bathroom stops and just share information. I’m glad we did the trip out there the way we did it, especially because we had never been. I probably wouldn’t go to Niagara Falls every trip, but it’s worth a visit! 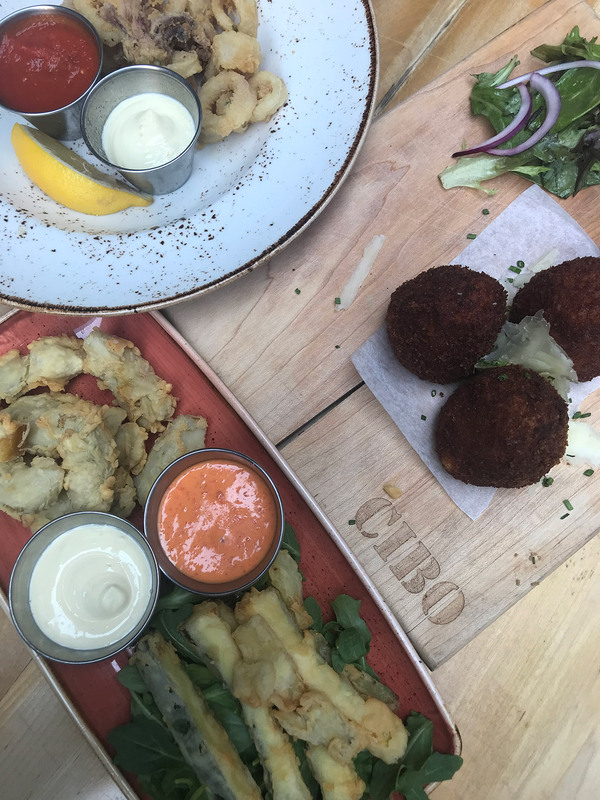 Cibo // We stumbled into this one when we arrived in Toronto and just went for a walk to check out the neighborhood. We were looking for a quiet place with a patio to grab wine and an appetizer and this was it. We sat outside with the boys (and their new stickers to keep them busy) and enjoyed calamari and wine and ice cream (because on vacation kids can have ice cream whenever!). It was a great little spot! Piano Piano // In my extensive Googling to plan this trip, I found Piano Piano and their Piccolo Room. First up, Piano Piano is adorable, it’s painted with flowers on the outside and the inside is beautiful. The Piccolo Room is downstairs and is designed for families to dine between 5-7 PM. There’s a TV where they can play kids movies, and a little area with chalkboard walls where the kids can climb and draw. There were two other families down there and the boys enjoyed playing with the other kids while we ordered, sipped wine and ate. The menu there was incredible and we had a really great Brussels sprouts salad and a pizza. The kids menu was perfectly designed for the boys’ tastes and had so many options. I highly suggest this one! El Catrin // We went to El Catrin on recommendation from a friend who has kids and great taste, so we knew it would be a good one. It is in the Distillery District and that was a really cute area to walk around and check out the little shops and spots to dine. We ate outside on their patio and ordered sangria and guacamole to get started. The kids menu was perfect with quesadillas and churros and both Clint and really liked the tacos and torta that we ordered. This would be a great spot sans-kids too – you could totally relax and take your time with margaritas and dessert! 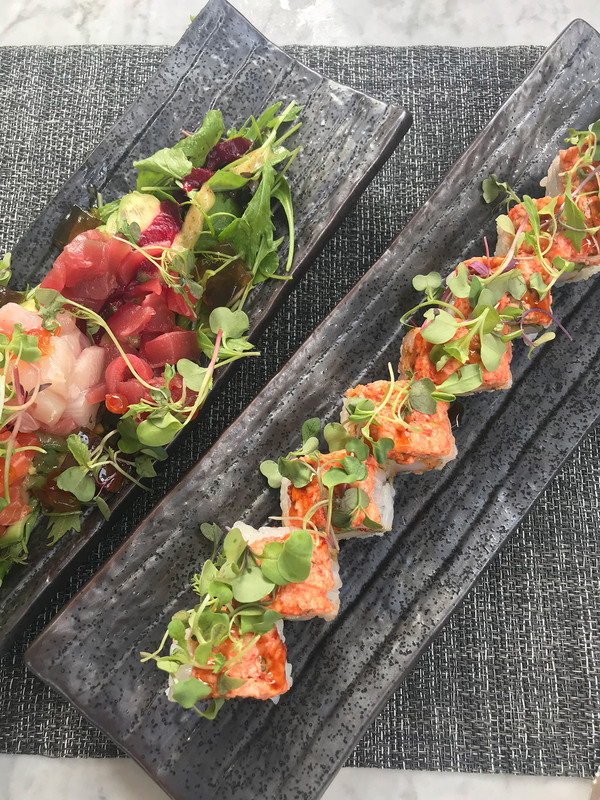 Kasa Moto // I found out about Kasa Moto on Instagram and it was a very short walk from our hotel. I knew it was pretty trendy and maybe not the best spot for kids but Clint and I really wanted to sit on a patio for sushi so we busted out the iPads and gave it a shot. First up, the food was SO good! We got spicy tuna with sticky rice and a couple of sushi rolls. They were incredibly kind and accommodating with the boys too, our server suggested the chicken teriyaki on sticks, modifying the sauce and adding white rice and edamame and the boys loved it. 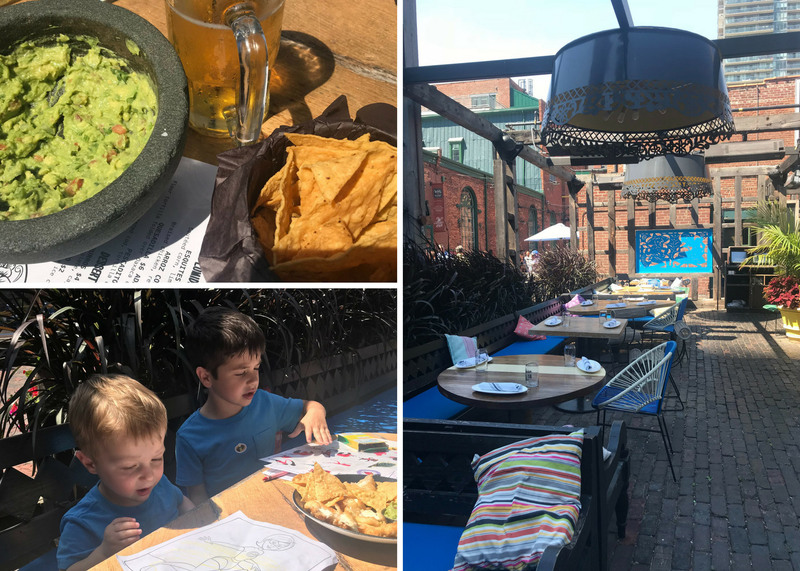 The patio was a really pretty spot and we enjoyed sitting up there – and it would be a great happy hour spot without kids too! 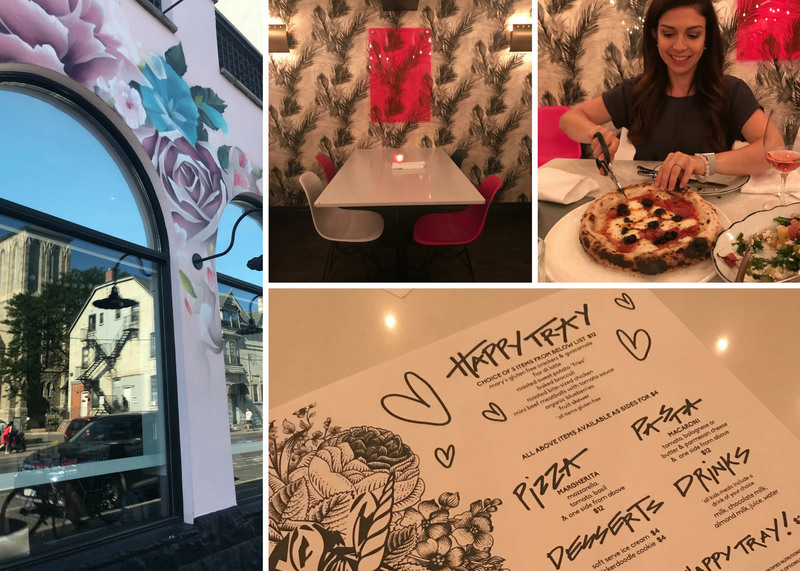 Ricarda’s // Ahh the place everyone has been asking about. I have three words for you: Bounce. House. Brunch. 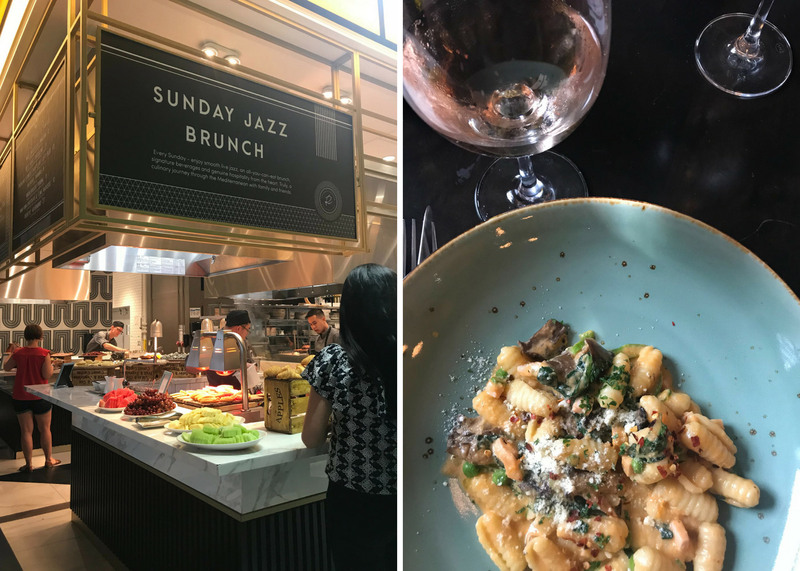 Actually, Jazz Brunch too. 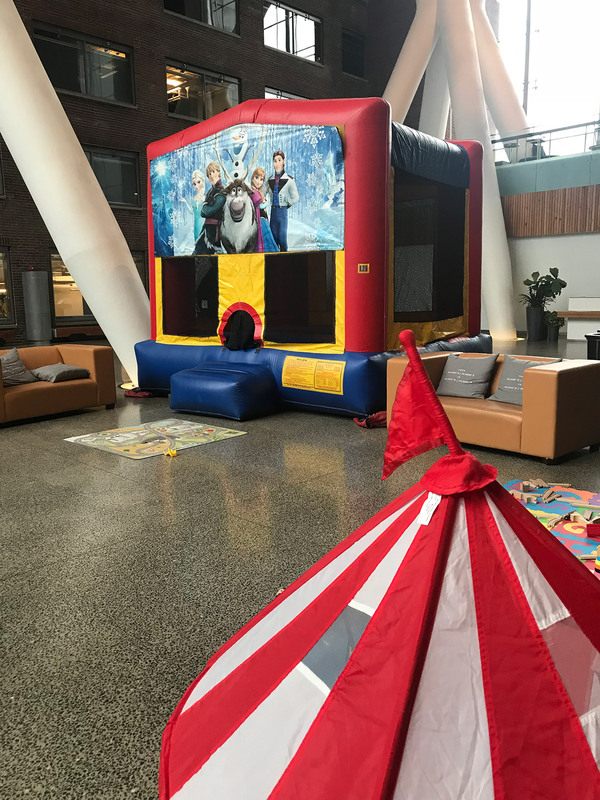 Along with live jazz music and amazing food, they had a SUPERVISED KIDS AREA WITH A BOUNCE HOUSE! This was a killer find and Clint and I actually got to eat by ourselves. The boys came out to the table to check in a couple of times but spent most of the time in the kids room. In the kids room, along with the bounce house, they had kid-friendly food, crafts, toys and the boys absolutely loved it. This was an amazing way to spend a Sunday morning and I couldn’t say enough good things about it – HUGE WIN! And then there was Whole Foods. It was within walking distance of the hotel so we made a few trips to grab snacks for the boys to keep in the room and after Niagara Falls, we just brought back sandwiches and cookies from there for everyone. Oh and of course Tim Hortons. Living in Michigan we get Tim Hortons a lot but it’s a Canadian thing, so we made sure to stop a couple of times while we were there! 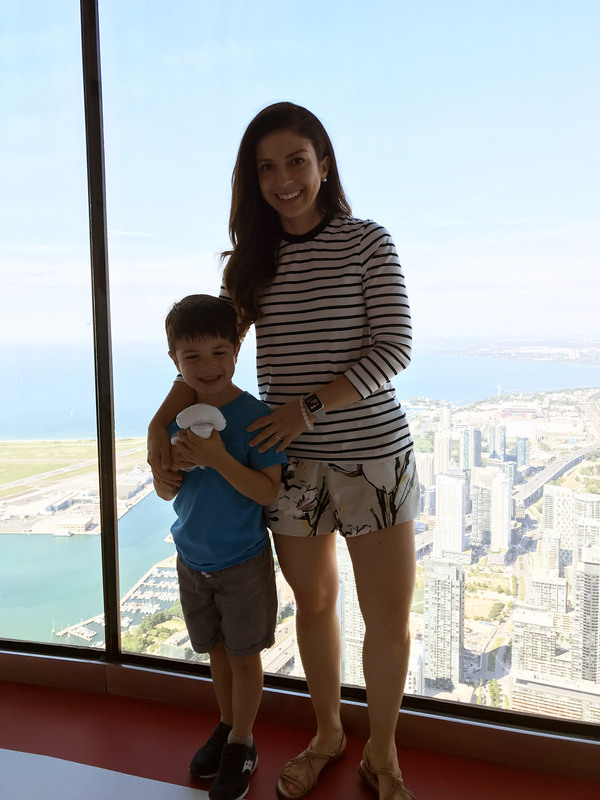 I’m posting our itinerary below (I did this to help plan the trip for ourselves) because it worked really well for us and I’d highly recommend any or all of these activities if you’re planning a trip to Toronto. If you have any questions, leave me a comment and I’m happy to answer!